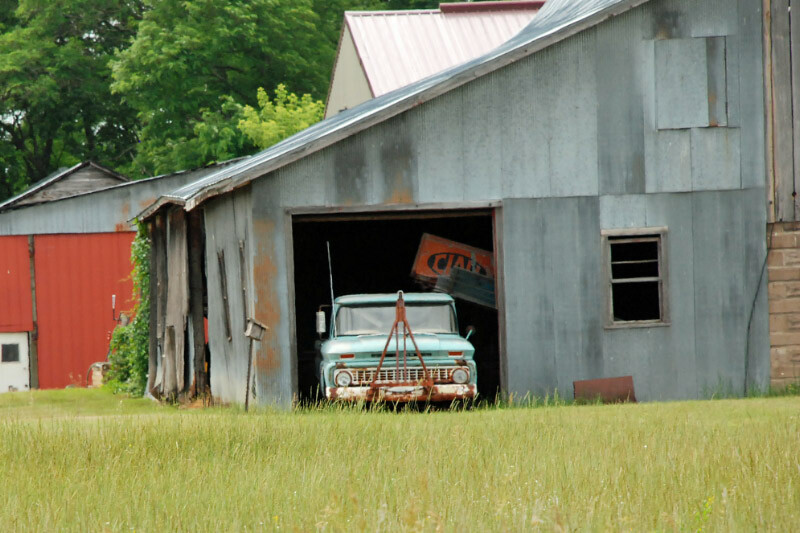 A well-used shed, attached to a barn, is the home of this old Ford truck. Can anyone out there nail down the yar of the truck and confirm that it is a Ford? I'm guessing it is somewhere in the 1960s. I can tell you it is NOT a Ford. It is a Chevy. The Ford turn lights were next to the headlights. The Chevy's were above. It could be a 1965, but they looked very similar for a number of years. Thanks for the clarification. Now I'm even more curious as to what year this Chevy truck is.